There are several collections being created in my studio. Every collection is united by the material that is used to create it. 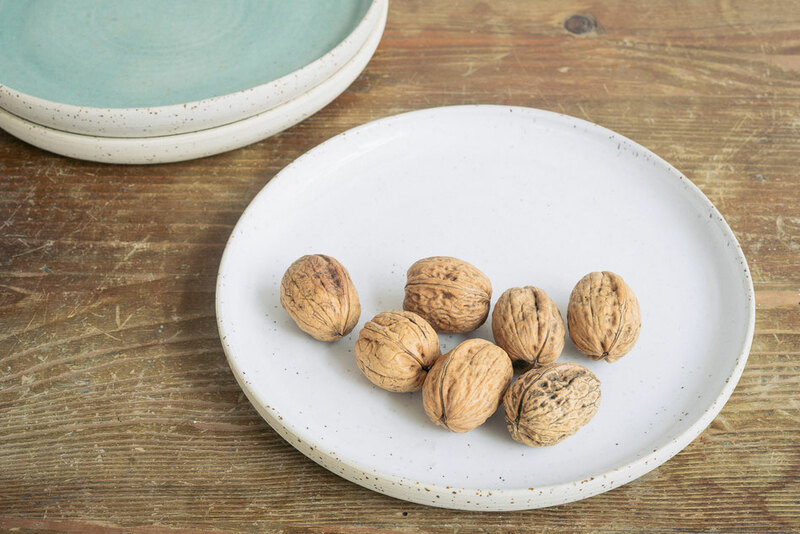 Collection STONE is made of beige stoneware clay with tiny basalt spots, having a very down to earth, yet minimal and beautiful feeling to it. I am using two types of glazes, white and green, for this collection. For creating HIMMEL collection I am using porcelain clay and slip. 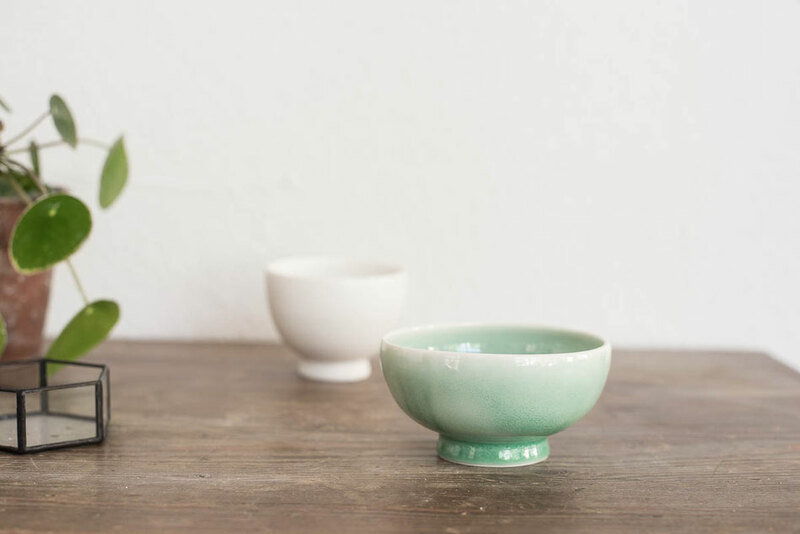 All the vessels from this collection are made on a throwing wheel, or made using slip casting method with English and French porcelain. Glazes used for this collection are mostly the result of daily experiments and may differ slightly from vessel to vessel. Read more about the collections by clicking on the relevant image.